Haunting rich textures surround the initial musical statement, which is embellished by innovative variations. The conclusion expands with pulsating impacts aligned with the broad melody. This is Del Borgo at his best. 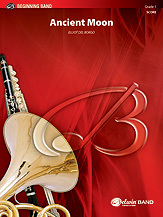 Be sure to program this work on your first beginning band concert. This title is available in SmartMusic.